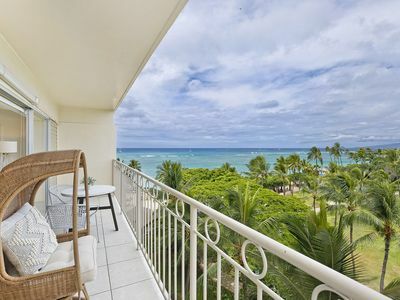 Imagine sitting on the lanai and gazing into the beautiful Waikiki sunset and skyline while breathing in the sweet ocean breeze. 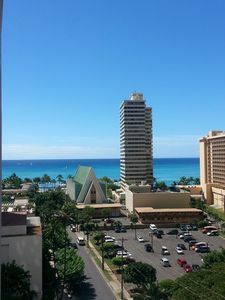 The Waikiki Shore condo has the best location and is the only condo in all of Waikiki that sits directly on the beach! 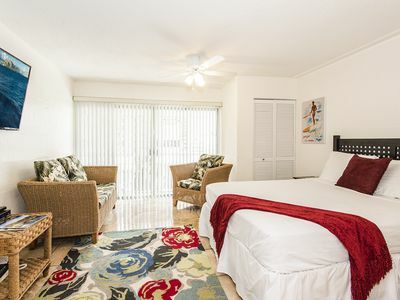 Every Friday night you’ll have a front row view of the fireworks show over the ocean from your lanai. 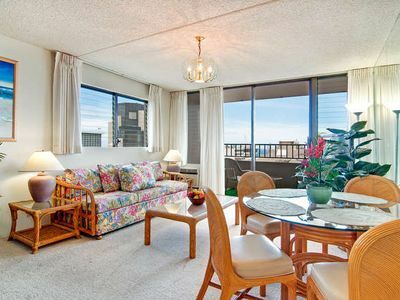 Directly in front of the condo are beach activities on the world famous Waikiki Beach. 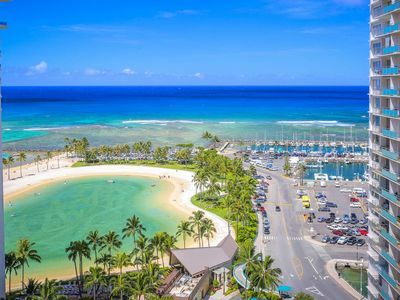 Water adventures galore: go sailing on a catamaran, take surfing lessons, paddle an Outrigger canoe, go snorkeling and/or boogie boarding. 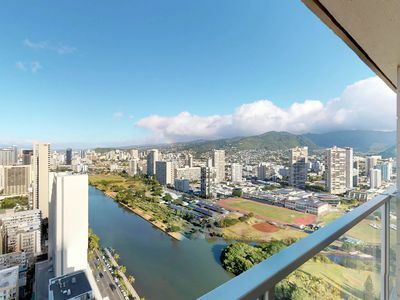 Waikiki and all of it’s attractions are minutes away: amazing restaurants, shopping, Hilton lagoon, Ala Moana Center, and Diamond Head. 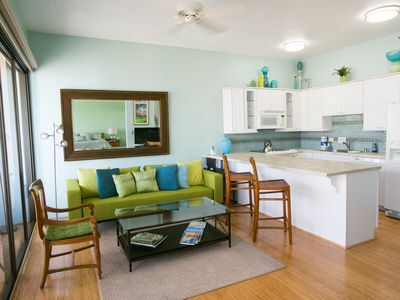 This modern beachfront luxury 1 bedroom unit comes fully equipped with furniture, dining table and 4 chairs, 2 twin beds, 1 sofa bed, and washer/dryer. 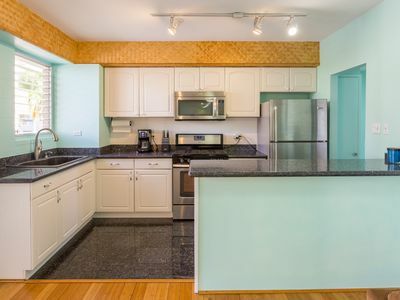 For your convenience, we've also included a fully stocked kitchen with pots, pans, glasses, plates, cutlery, and gas stove. 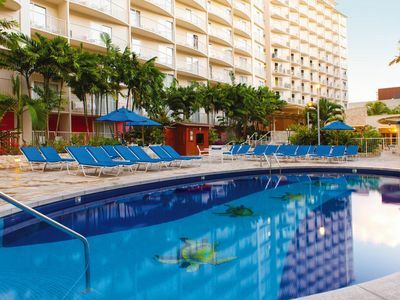 Welcome to your Hawaiian home away from home! 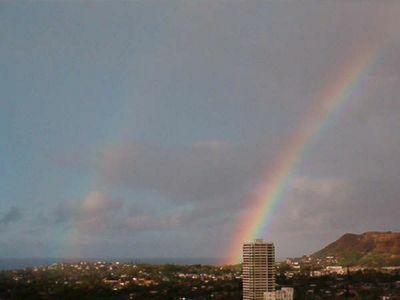 * Please note: We do not have a parking stall and do not guarantee parking. 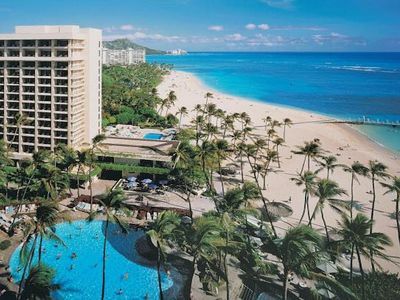 The hotel front desk may have parking available for $45 per day however you must check with them on a daily basis. 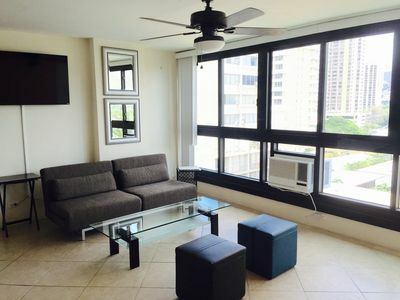 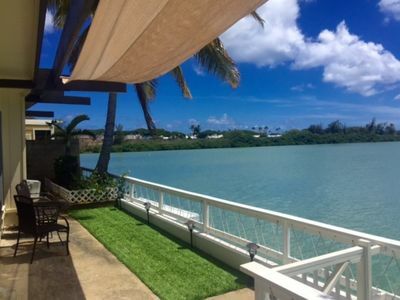 Ocean View End unit Royal Kuhio Condo, Great Amenities, Free Parking!! 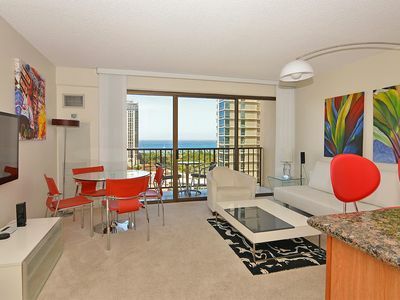 Professionally Decorated, Beachfront, Double Unit on the 18th floor. 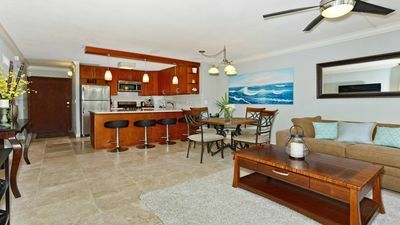 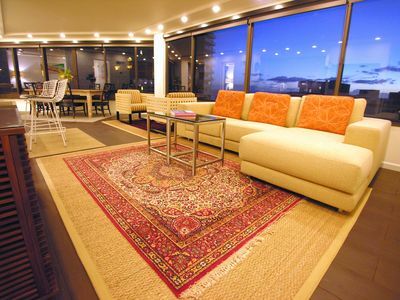 Waikiki Grand Condo- Beachfront Hawaii Luxury Studio - 1 minute walk to beach! 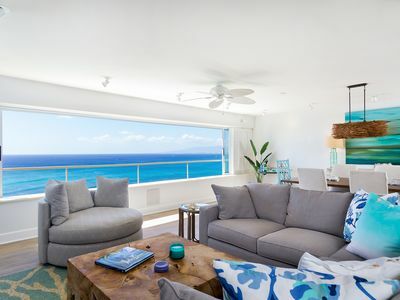 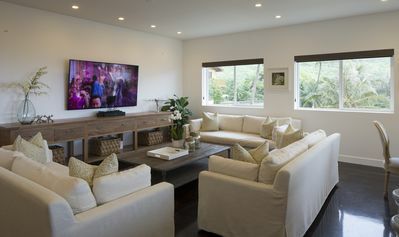 Beautiful & Modern Hawaiian Living! 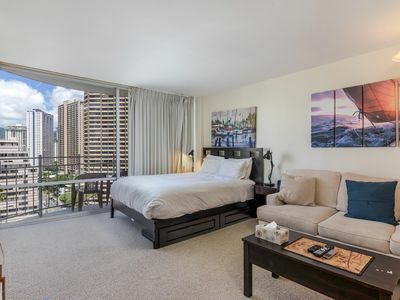 Stunning 1 bedroom at Hilton Hawaiian Village, Lagoon Tower. 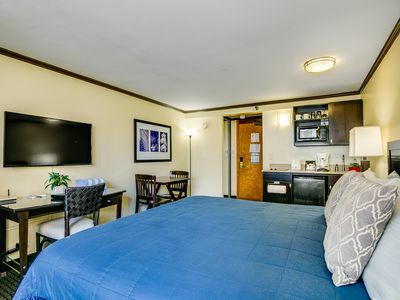 Best rates!